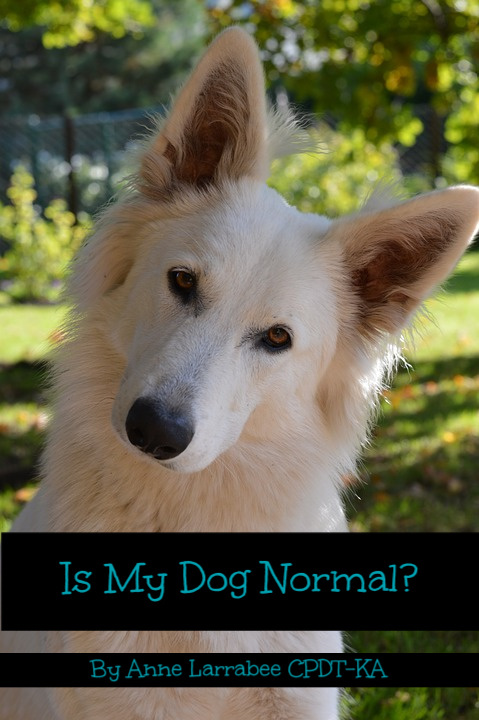 One of the biggest concerns pet parents have for their dog trainer is whether their dog is normal or not. Here’s the short answer: Yes! Let’s dive into that a little deeper. Every time your dog is doing something you don’t like, we can trace that behavior back to one of three things: Lack of training, lack of socialization, or lack of management. These three things, when working together, help the dog understand when and how it’s ok to display a certain behavior. For example, peeing. All dogs pee. All humans pee. All animals pee!!! But, peeing on your comforter in the middle of the night for ANY animal is not an appropriate time or place. It’s on us, as the owners, to teach the dog the appropriate time and place to pee is outside when we open the door. We will, of course, open the door and let them outside frequently enough that our dogs don’t feel like their bladders are going to explode. What about a scarier example? What about aggression? Would you believe me if I told you aggression was a completely normal dog behavior? Well, it is! Most aggression comes from a place of fear. Your mental or physical safety is at risk, so you lash out to protect yourself. This is also true for humans. One major exception would be a true mental imbalance. However, most aggression is not a mental imbalance. The dog feels threatened in some way and is displaying that behavior. When it’s over a dirty sock, that seems – to us – to be a weird time and place to display aggression. We may consider it an overreaction. To the dog, it’s perfectly logical. They may be thinking, “every time I get something fun, you take it away. I’m sick of it. I’m going to keep this amazing sock! No, no I won’t let you take that away from me!” In this case, we need to teach the dog that humans taking away things from them is FUN and a GOOD DEAL for them. Then, the dog will realize that their aggression is an overreaction and the resource guarding will diminish and eventually stop. In conclusion….yes! Your dog is completely normal!!! We just need to take the time to teach them when it’s ok to do certain behaviors. We do this for our children (well…at least the better parents do…) and we should be doing this for our dogs. If you need help making a plan to help your dog understand your rules, be sure to reach out! We do in person lessons as well as online lessons! ← Why Did My Puppy Turn Into a Jerk?